You know you’re a food geek when your clothing starts to remind you of produce. 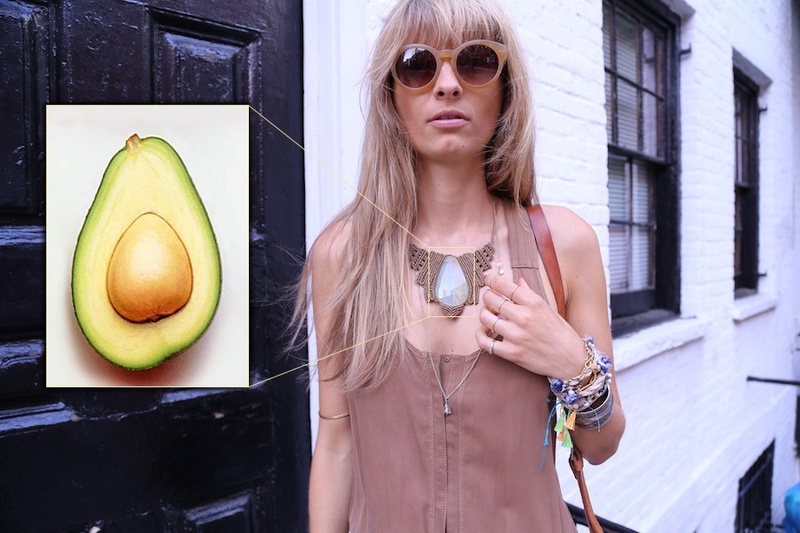 Such was the inspiration for this post, which came from a necklace that I call my avocado collar because; well… it kinda looks like one! I jokingly call this my “dumpy brown jumpsuit” because on paper, it should be dumpy and hideous. Yet somehow, it’s actually pretty awesome! 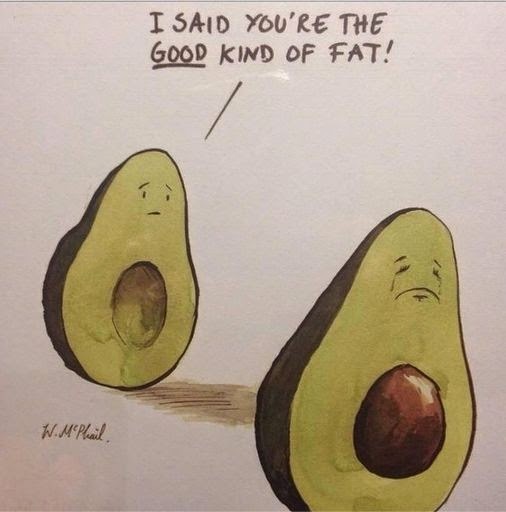 Sometimes something that sounds bad can actually be good; like FAT, as in the monounsaturated kind that’s in avocados. Sure, everyone loves guacamole, but if by this late in the season you're looking to get a little more creative with your avo - check out 5 of my favorite ways to indulge deliciously. As always, my recipes require few ingredients, little effort and lots of reward!! Never thought to mix an avocado with something sweet? Think again! Avocado’s mild flavor and rich texture blend perfectly with fruit for a creamy, frothy treat. Cut into 4 pieces for easy eating! A note about alternate grain pastas: Quinoa pasta is best eaten fresh and doesn’t store well, while brown rice pasta is best cooked al dente. Both are delicious, more nutritious than white or wheat pastas and gluten free!